…Some years ago I was studying interviews with church planters in various parts of the Muslim world, looking for those key insights into how God was using them. One day during that project, sitting at my desk in Bishkek, Kyrgyzstan, I read about a fundamentalist Muslim soldier who came to Christ when a foreign missionary had the courage to share a New Testament with him. My eyes welled-up with tears. I set my work aside, got on my knees and wept. Here research was painting a picture, showing me a miracle of God that many of my fellow Americans would find hard to believe. Worship was the only proper response. Along this same line, worship should rise-up in our hearts anytime we encounter the amazing beauty of the gospel crossing new cultural frontiers. We should marvel everything new nations and peoples are woven into the tapestry of God’s kingdom. I guess that is one of the reasons I love to do mission research, it often evokes such wonder and awe that I can’t help but worship. 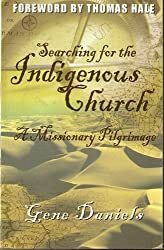 While there are many ‘practical’ arguments for doing mission research, its ability to push the soul to worship is reason enough for me.